Lily has a few brand-new pieces in her wardrobe now, courtesy of Boohoo who have recently launched their kidswear range, BoohooKids! 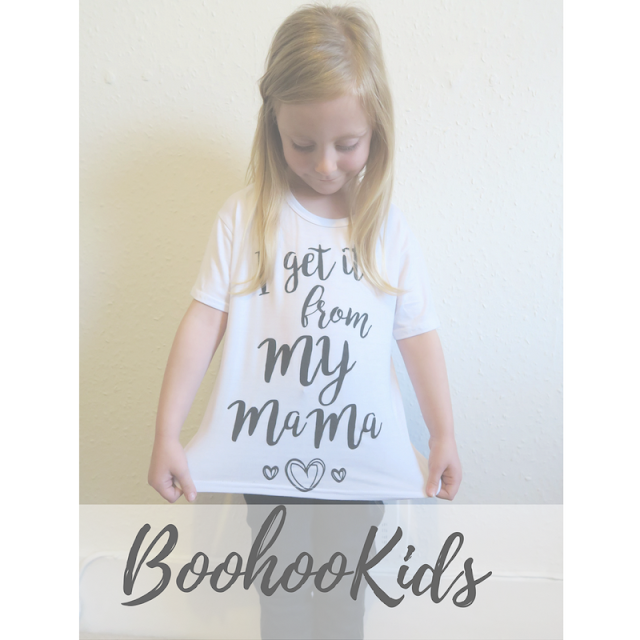 BoohooKids is all about fun and stylish age appropriate fashion for children from ages 5-6 to 11-12, across girls and boys clothing. Alexander will have to wait a little while for BoohooKids items but I do like the look of the coats and shoes particularly. The line includes 'mini-me' versions of key adult trends, so right now for the girls line expect ruffles, cold-shoulder details and slogan tops and sweatshirts. You can find glittery party dresses, matching tops and bottoms as well as smart shirts and chinos for the boys. Lily required a new pair of trousers; she has quite a few pairs of leggings but we are into November now and jeans will provide a little bit more warmth so I chose a pair of high-waisted tube jeans in dark denim which feature contrast stitching and bronze hardware. They will look good rolled up too if Lily is wearing flats and will certainly look stylish if she wears her boots or even welly boots. 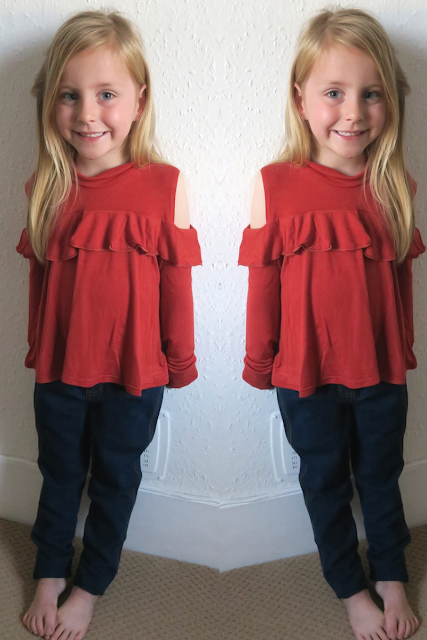 I decided to chose the same top that the model sported in the denim section; a rust coloured open shoulder ruffle top which has long-sleeves which is pretty important now mild autumn is drawing to an end. 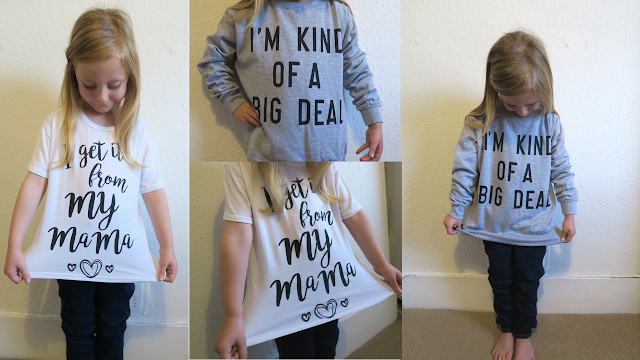 Another top I ordered was the 'Mama Tee' which was a bit of a self-indulgent decision based on the slogan, haha! And finally, a slogan-adorned sweater in grey to keep her cosy. Overall Lily has been pretty impressed with her new clothes; the sweater and jeans are seeing the most use currently as November has started off pretty chilly for open-shoulder and short-sleeved tops. A bonus was the super quick next day delivery and I was informed of the tracking via text at every step of the way. We were gifted credit to purchase these clothes in return for our honest opinion.